Red Velvet’s Yeri released her first solo project titled “Dear Diary” on March 14 as part of SM Station. The song is not only Yeri’s first official release, but also the singer’s first self-composed song. Typically known for her rapping skills as the maknae of Red Velvet, Yeri gets her chance to shine as a vocalist in this slightly jazzy, acoustic track about loving yourself. At Red Velvet’s 2018 U.S. fanmeet, Yeri expressed the desire to strengthen her song writing skills and when asked what she’d like to write about, she decided anything but love. Just as Yeri promised, “Dear Diary” sings of anything but love for another person and instead brings the focus back to oneself, reminding fans that they are perfect just the way they are. The soft-pop track is complete with relaxing piano chords, acoustic guitar, and a slower beat perfect for a lazy day. Even without understanding the comforting lyrics, this song will have you breathing lighter by the end. 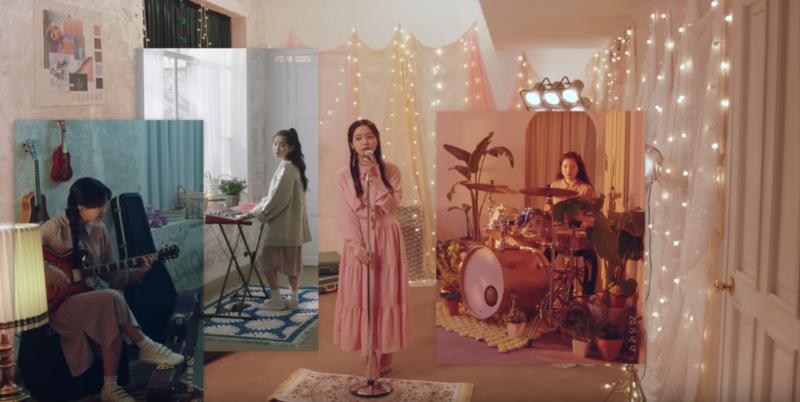 The music video for “Dear Diary” shows Yeri moving calmly throughout her day, starting off by daydreaming in a greenhouse before pursuing various hobbies inside and ultimately filming her own music video. Aesthetic-wise, the video is just as soft as the song with its gentle lighting and pastel colors. The layering of shots like a scrapbook may be the most interesting part of the video, with scenes cut and pasted over each other like pages from Yeri’s own diary. Despite her reputation as the spunky maknae of Red Velvet, Yeri’s songwriting style is quite mature, almost sounding like something that could be released by IU. Thinking back to her belated debut with Red Velvet in 2015, Yeri’s growth as an artist is not only incredible, but also inspiring, and we look forward to any future releases and to see where her creative journey will take her next.